PLEASE HELP LIFENEWS.COM DURING OUR FALL FUNDRAISING CAMPAIGN! Today marks 40 years since the life-saving Hyde Amendment was first enacted. This annual appropriations amendment stops taxpayer dollars from being used to fund most abortions and abortion coverage through government programs like Medicaid. A leading pro-life Catholic priest says the top issue for American voters ought to be abortion and that unless abortion in America ends the nation’s problems will only get worse. On September 30, 1976, a Congress controlled overwhelmingly by Democrats passed legislation that for the first time prohibited federal Medicaid funds from being used to pay for abortion, except in cases in which the mother’s life was in danger. Leading pro-abortion groups like NARAL and Planned Parenthood are out in force today with a social media campaign designed to engenders support for overturning the Hyde Amendment and forcing Americans to fund abortions with their tax dollars. An Idaho mother faced felony charges this week after she allegedly starved her infant daughter nearly to the point of death. Friday marks the 40th anniversary of the Hyde Amendment, a widely-supported measure that has saved more than 2 million lives by prohibiting taxpayer funding of abortions in Medicaid. Releasing nationwide on October 7, the independent film Voiceless hopes to shift the national conversation around unplanned pregnancies. This may be our last protection against the Obama administration’s “transgender” bathroom rules! A Virginia school district has petitioned the U.S. Supreme Court to hear its case for bathroom privacy. The federal government’s radical gender ideology agenda is being forced upon schools nationwide, including many Catholic schools and colleges, and it must be stopped. That’s why this week The Cardinal Newman Society and several Newman Guide colleges filed a friend of the court brief, authored by the attorneys of the First Liberty Institute, which urges the Court to take up the bathroom case. You can read our report and find a link to the full brief here. In addition to the Newman Society, the brief was joined by John Paul the Great Catholic University, Thomas Aquinas College, Thomas More College of Liberal Arts, Wyoming Catholic College and the Ignatius Angelicum Liberal Studies Program. We were delighted to also be joined by the National Catholic Bioethics Center and religion expert Dr. Byron Johnson of Baylor University. The brief argues that the Education Department’s “gender identity” rules under the federal Title IX law raise significant concerns that could impact the religious freedom of Catholic schools. Also: A Catholic school in Tennessee is being sued for telling a male student he couldn’t bring a male date to a homecoming dance. See more top news in our weekly Catholic education news roundup by reporter Matt Archbold. Thank you so much for all you do to support our important mission. May God bless you and your family! Copyright © 2016 The Cardinal Newman Society, All rights reserved. 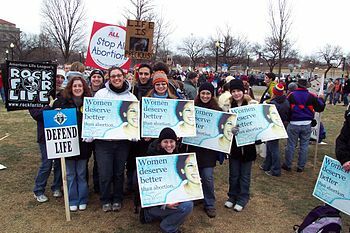 This Sunday is “Life Chain Sunday” a nationwide effort to form chains of pro-life signs in communities across the country. This is a great way to spread the pro-life message in high traffic areas and unite with tens of thousands of fellow pro-lifers across the country on one specific day to save lives and convert hearts and minds to the pro-life position. Engaging the public at an event like “Life Chain Sunday” is not only an excellent way to get involved but it’s also a great opportunity to show the compassion and love of the pro-life movement. 3) Wear your Rock for Life shirt at a “Life Chain” event and post to social media (tag us or use #rflstreetteam) and earn 5,000 RFL Street Team points. “I AM PRO-LIFE” women’s slouchy tees are 50% off! Find great deals like this and many more by clicking here. Thanks for your support! 40 DAYS FOR LIFE: DAY 3: Closed for the day! Your presence matters. Just ask abortion facility workers! … that the abortion center’s staff had left the building and closed for the day! Not bad for just two days into the 50-state, 125-city tour! Day 2 of the UNITED tour picked up right where Day 1 left off in the Mid-Atlantic states — it was downright soggy! But the main thing to note about Thursday’s tour stops is that the abortion facilities were all closed when we got there! Even howling flash-flood warning sirens weren’t enough to keep prayer volunteers away from our stop outside Planned Parenthood in Dover, Delaware. The center was not open … but Planned Parenthood supporters braved the weather to photograph the bus! It was a similar picture at Planned Parenthood in Wilmington. This facility closed rather than staying open when we rolled into town for Delaware’s statewide rally. The abortion giant wasn’t exactly happy to see us … and before long, the police came. When they arrived, though, they said they were there to protect us and make sure nobody was giving us any trouble! When we drove up to the abortion center in Cherry Hill, New Jersey, we found no one home there, either. The abortion facility’s staff had already called it a day and emptied out. Volunteers here report witnessing 25 babies saved from abortion during the last campaign. Praise God for these saved lives … and for the faithful volunteers, including those who go out to pray all year long. The day concluded with an incredible crowd at the statewide New Jersey rally in Morristown, along with — you guessed it — more rain! We met Jenny, a prayer volunteer who had been indifferent toward abortion until she encountered her local 40 Days for Life campaign. She’s now a regular vigil participant. We also heard a beautifully touching post-abortion testimony from Lana of Silent No More, who moved the crowd to tears with her story of heartbreak and healing. We’re now 520 miles into the tour. Onward to New York! Therefore I tell you, do not worry about your life, what you will eat or drink; or about your body, what you will wear. Is not life more important than food, and the body more important than clothes? Look at the birds of the air; they do not sow or reap or store away in barns, and yet your heavenly Father feeds them. Are you not much more valuable than they? Loving heavenly Father, help us to see the worth of all human beings by the way in which you provide for us. We would ask that you provide also the faith, grace and courage to enable us to protect that which is so precious to you. Find a 40 Days for Life location and join the vigil nearest you! There are 367 from coast to coast in North America and around the world! Republican presidential candidate Donald Trump today announced the leaders of the new pro-life coalition dedicated to helping him expose the radical pro-abortion position of Hillary Clinton. Pro-abortion President Barack Obama has proposed a new rule that would essentially prohibit states from defunding the Planned Parenthood abortion business. Leading pro-life members of Congress is not happy about it. A recent episode of Netflix’s Chelsea, “I Was a Ticking Time Bomb,” turned into a mini abortion rally and Planned Parenthood commercial. Life Legal informed LifeNews that it has obtained e-mails released pursuant to a Public Records Act request showing a disturbing level of cooperation. Fertility doctors have brought a baby to birth from an embryo created artificially with the biological substances of two women and one man. As Polish abortion activists protested a bill to ban abortions and give every unborn baby a right to life last week, a grieving father responded with an emotional message about the value of his daughter’s short life. Three years ago, abortion activist Mary Elizabeth Williams wrote a shocking piece for Salon where she argued that abortion should be legal even though it does, in fact, kill a human being. 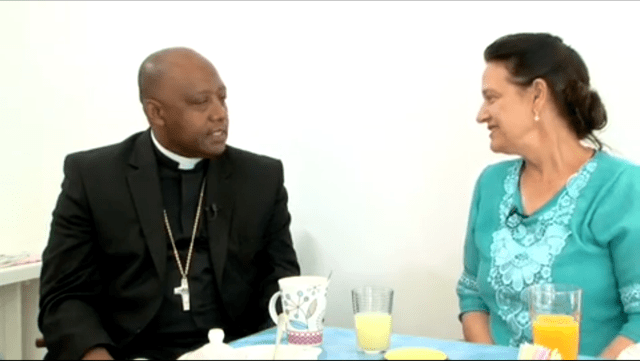 Mary TV September 30, 2016 Reflection – Bishop Victor Phalana witnesses! 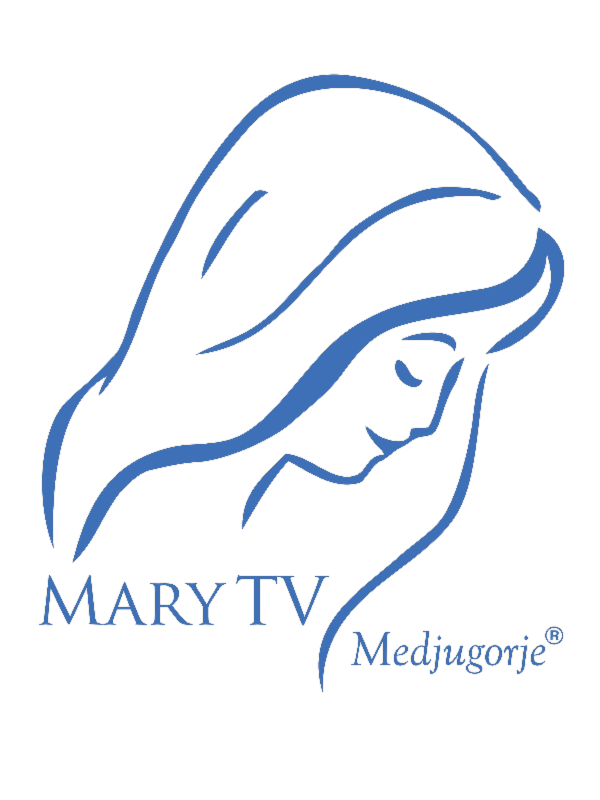 Is there something different about Medjugorje, that encourages conversions? : Yes the environment is quite different and that is what makes it different. I keep on asking myself, “But why?” “But why?” “But why?” The people who come here (Medjugorje) – you can sense – they are seeking. We realize we are all pilgrims. And we are searching for something. And when you come here, if you are searching you will become a bit more focused and you will give yourself to the experience. And what makes it different is that people come here, and maybe they have had a little bit of preparation. Many of them understand that they are not here so much as tourists but as pilgrims. Many feel that this is a holy place. And whatever one can say about the apparitions, we all are listening together with the Church, and we are discerning with the Church about the apparitions. But all the popes, from St. John Paul to Pope Benedict XVI to Pope Francis acknowledge that it is a holy place. This is where people come to meet God and encounter God. And this encounter leads to so many conversions. So while there is no conclusion, no conclusive statement concerning the apparitions, the Popes have not discouraged pilgrims from coming because they know that it is a place where there are so many fruits! Do you also witness this with the people you have accompanied from South Africa, that the fruits are unique? The fruits are quite unique. I brought an old priest, who is 87 years old, to Medjugorje two years ago. Just before we left [for Medjugorje] he fell sick. But he wanted to come. So we came. We started in Poland with a pilgrimage, and he was admitted there to the hospital. And he came out of the hospital before he was well enough. But he said “I have to go to Medjugorje.” Then he came here, and we took him to Mass, and for just a few spiritual exercises because he wanted to rest. Then we also took him to the clinic run by the Maltese. And there he met a very young doctor who said to him, “You know I think you are taking too many antibiotics. Then she went down and brought some probiotics, and she said “Please take these.” And then for Mass and the encounter we had to push him in a wheel chair. He was so weak. But when he returned home, he was strong! As I speak, he is celebrating his 89th birthday next month. He is walking straight. He attributes his health to Medjugorje. He says that Medjugorje helped him. He narrates an encounter with Vicka where she held him for 2 or 3 minutes, she prayed with him. And he was sobbing just like a child. And he said that is why God wanted me to go to Medjugorje. And now he is strong. He says he is going ahead with his life. So for me personally, on my first visit, like any other priest, you go through your own moments of personal crisis where you are wondering, “Am I really called? Is this vocation for me?” You may be 20 years in the priesthood, but the questions still come at certain moments. And when I came here those questions were really going on in me. So I went to confession, and it was a beautiful experience. You know, for us who are confessors, we also need that moment of confession. After that, we were walking around here and I saw the priest who was my confessor. I greeted him and I thanked him, and I said, “Look, that was a beautiful experience!” And he said to me, “Go to any of the shops here and buy yourself a ring, and bring it and let me bless it for you.” That was about 2005. When you sit there you have to give a little spiritual direction. You cannot just listen and then give absolution. And I am so grateful for the generosity of the priests who come here. There was a time when I had been in the confessional for about 5 hours. People didn’t stop. It went on and on. And I was wishing that somebody could come and rescue me! But this is a ministry that is needed. And I had to go on and do it. It is a moment of grace. So when I was made a bishop, I had to look at my ring, my Medjugorje ring. And I said to myself, do I have to take it off now, because I will have my episcopal ring! But I said no I can’t, because for me this is not a ring I just bought. This is a ring that connects me to this place in a special way. This is the ring that reminds me of my call, of my vocation. How precious it is. Even though you may go through a crisis as a priest, go and ask for help. You may ask family and friends for help. But it is not better than Confession. Yes, ask for advice and spiritual direction, but you can’t run away from Confession. And Medjugorje reminds us of that. That is why I say, this is a blessed place. It is a beautiful place. When I was appointed bishop, I had just come from a pilgrimage here. And I said to Our Lady, “Why? Why me?” And up until now I still don’t know, but it is God’s choice and I have to accept it. 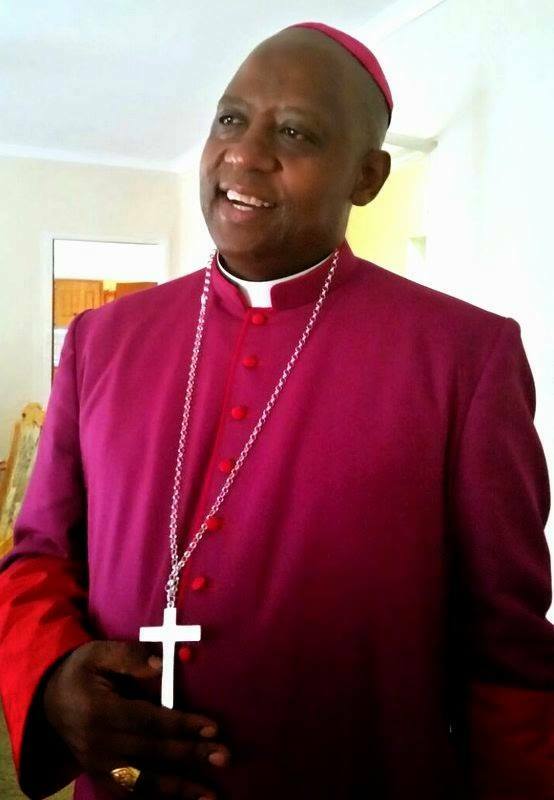 I was taken to a diocese that had been without a bishop for 2 years and there were some painful things there. And so I asked Our Lady again, “Why me, why now? If you really wanted me to be a bishop, in the heart of your Son, according to the will of God, then why bring me here where I have to pick up the pieces and start from scratch.” And I received positivity, I received peace. You don’t have to worry; you don’t have to be anxious! Bishop Phalana then shared about the help he got for his diocese from Medjugorje. They now share Mass stipends with his diocese. 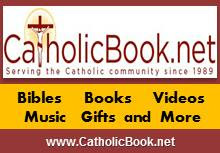 And we can support Bishop Phalana by going to this website. Bishop Phalana also was happy to know about Mary TV. He will share about it in his diocese! And he blessed our work! In China, abortion has little to do with a woman’s choice. The world was shocked in 2012 when the photograph of Feng Jianmei lying next to her forcibly aborted baby emerged through Women’s Rights Without Frontiers into Western media, showing millions the true face of Chinese population control. 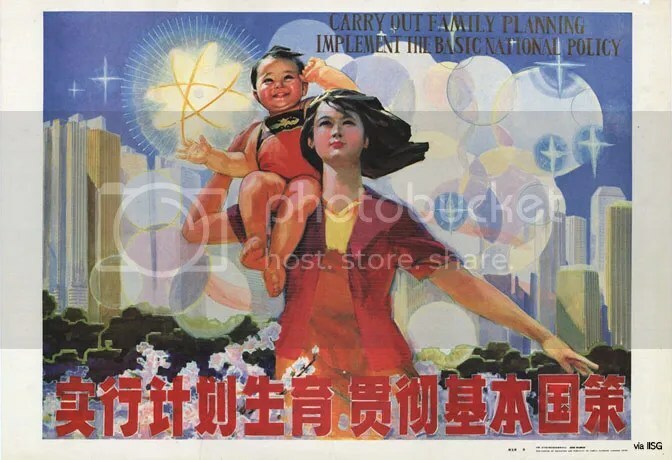 Forced abortion continues under China’s new Two Child Policy. On July 22, 2016, for example, a Guangdong couple was told they must have an abortion or both lose their government jobs. The wife was eight months pregnant. Read more. YES, I WANT TO HELP END GENDERCIDE AND FORCED ABORTION IN CHINA! Your donation enables Women’s Rights Without Frontiers to continue to be a voice for the voiceless women and children of China. This huge effort comes at a cost. We need your support. Please give as generously as you can. Every donation makes a difference!